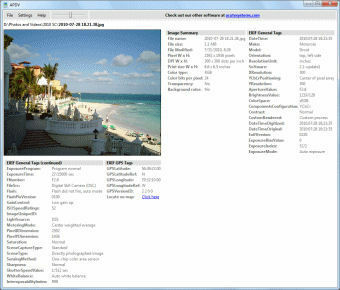 Acute Photo EXIF Viewer is a tool that lets you view the Exif metadata stored in digital image files. Supports many photo and image formats including most raw formats. Ability to show GPS location (geotag) from Google Maps.